Art Space Sanctuary – an urgent call for all art and cultural spaces, large or small, visual or conceptual, physical or virtual, secular or religious, to publicly declare sanctuary! Running a MOMA Divest campaign – as the board of MOMA includes Larry Fink, founder of BlackRock, which is the second largest owner of private prisons. For information and action details go to the MOMA Divest page. For information on the summit and follow up events What Can We Do? Immigration Summit for Cultural Organizations click here. To declare your organization a sanctuary space, or to support the art sanctuary initiative and receive occasional information, continue reading. What is Art Space Sanctuary? The actions taken by this federal administration point to its determination to consolidate power and launch wide-ranging assaults on selective populations, including migrants, refugees, Muslims, Latinx, Black, women, and LGBTQ communities, as well as artists, academics, scientists, and the press. It is imperative that we stand up and say NO! to such actions, policies and laws. Everyone should have access to education, culture and the arts without any fear. To make this possible, we ask that cultural and arts institutions, from libraries to theaters to museums to galleries and more, join other groups in declaring sanctuary – an important strategy with symbolic, moral and practical efficacy. The goal of the sanctuary movement is to create safe spaces, spaces that declare their refusal to condone and abet actions and laws that violate justice and conscience. Sanctuary provides a broad umbrella for an intersectional coalition of people to stand together, build networks and create spaces of convergence. All and any of these policies are within the law and constitute sanctuary. Provide a safe space where people won’t be mistreated because of their race, gender, ethnicity, immigration status, gender, sexual orientation, religious faith, political or scientific views. Everyone is entitled to art and culture without fear. Make a public statement regarding their commitment to protect information on immigration status of all members, staff, artists and visitors. Agree to not allow federal immigration authorities to search the premises without court-issued warrants specific to those premises. This is legal and in line with the declarations of many sanctuary campuses and sanctuary cities. Due process is an important aspect of the judiciary that needs to be upheld. Disseminate information and provide programming and resources helpful to undocumented and other vulnerable populations. petitioning state and federal officials to support legislation and policy that protect the civil liberties and the right of non-citizens to remain living in the United States, such as the BRIDGE Act. petition local and state officials to end policies, such as broken windows policing, that lead to the racialized and class-based criminalization of certain populations, and to their incarceration and deportation. If you are an art or cultural institution that has declared sanctuary please notify us at: [email protected] or register here. 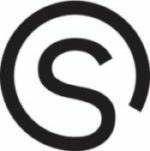 b/ Sanctuary Logos – we recommend that Artspace Sanctuaries like other sanctuary spaces use these in their physical space as well as in their on-line and social media presence. Also, in protests. On Bodies. c/ Lists & Maps of Sanctuary Spaces in NY – houses of worship, art spaces, educational organizations, and businesses like restaurants that have declared sanctuary on some level. It’s good to know where they are. Support these spaces. 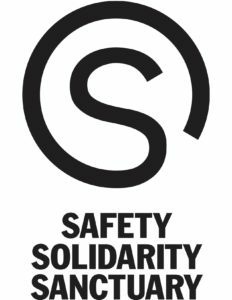 As a sanctuary hub you can also be part of the New Sanctuary Coalition (NSC) program called SanctuaryHood whose goal is to create protected and aware neighborhoods, through decentralized and intersectional events, programming, training, and mutual support. For more information, you can contact us. For larger institutions, we have put together a key module for training staff on good sanctuary policies and strategies. If you are interested, please contact us. Organize events and let us know by replying to this email. Use #artspacesanctuary in your solidarity events. There will be many more events and ideas as we move forward. Stay Tuned. Tell others to sign up in support of sanctuary. Please tell institutions to declare themselves sanctuary. Send them this site. No Info, No search – Like the city, art spaces, universities and other organizations too can declare that the immigration status of their users and members will not be requested and any such information will not be handed over to ICE. Federal immigration officials will not be permitted to search premises without a court-signed warrant. Safe Space – Sanctuary can simply be a place to feel ok and safe, where you know you won’t be mistreated or dismissed, where you can speak your mind – the more such places there are in the city, the better. Many sanctuary spaces also offer safe spaces for a range of precarious lives, including LGBTQ youth. Short-term Sanctuary – Sometimes when there are raids in neighborhoods or workplaces, people need a place to just sit and wait for a while. So short-term sanctuary are places where people can go in case they hear of raids in their neighborhoods to workplaces, whether or not they have deportation orders. Physical Sanctuary – this is highest and rarest form of sanctuary, and the kind that can potentially lead to legal complications. Physical sanctuary is where people can stay until their deportation hearing is resolved. This is not used often. There is now only one person in NY area in sanctuary. This is the highest level of commitment. It entails commitment from the person seeking sanctuary as well, since it means the person cannot leave the premises. People and institutions may have concerns or fears about the implications of declaring that theirs is a sanctuary space or institution. Here are a couple of common concerns art spaces may have about declaring sanctuary, and what can be done to manage these concerns. Will Declaring Our Institution a Sanctuary Space Expose us to Criminal Liability? It’s important to remember that there are many ways in which an institution can provide sanctuary, most of which are perfectly lawful. The word “sanctuary” itself has no legal status, but colloquially may refer to a spectrum of support for non-citizens and threatened communities. It may refer to a show of symbolic solidarity with immigrant individuals and families, such as issuing statements of support in the media, or it may refer to the dissemination of information, such as know-your-rights resources to the immigrant community, or it may refer to the open refusal to share information about a person’s immigration status with federal immigration authorities. Note that city and other institutions are under NO legal obligation to share information on immigrant status with federal agencies or agents, for example with Immigration and Customs Enforcement (ICE), the agency tasked with finding and forcibly removing undocumented human beings from the US). All of this is perfectly legal and within the rights of any private institution to perform. Sanctuary may also refer to providing material support to non-citizens in danger of deportation, such as providing temporary shelter to such a person. This is typically known as “physical sanctuary.” Providing physical sanctuary may incur criminal liability, and any institution considering providing this kind of support should consult with a competent attorney to understand the consequences. Will we need to house or provide shelter to persons in danger of deportation? And if so, will persons in danger of deportation flood our institution with requests for physical sanctuary? Again, there are many ways for an institution to declare sanctuary, and many of these do not involve providing physical sanctuary. If your institution does decide to provide physical sanctuary, it would be your choice about whether or not you were doing so publically, and of course you would still have control over how many individuals you accepted. It is good to keep in mind that most people, even in danger of deportation, would rather not enter into long-term physical sanctuary. So remember, sanctuary implies different levels of commitment, without necessary legal entailments. Nevertheless, we are asking you to commit to the highest level of sanctuary possible. The sanctuary movement has also been critical in providing real legal aid and other resources to immigrant and minority communities. So it needs bodies, minds and money. Sanctuary needs people who can volunteer, can help spread the word on resources, people who can help with legal issues, petition officials constantly; it needs financial resources; it needs lawyers… We ask that you encourage your staff and members to volunteer, contribute financially or recruit lawyers. In the aftermath of Trump, Sanctuary has resonated widely in national debates especially on campuses and in sanctuary cities. But sanctuary has been a movement since the 1980s and has developed, in NY, through the New Sanctuary Coalition of NYC since 2007. The New Sanctuary Coalition of NYC is an interfaith network of congregations, organizations, and individuals, standing publicly in solidarity with families and communities resisting detention and deportation in order to stay together. It recognizes that unjust global and systemic economic relationships and racism form the basis of the injustices that affect immigrants. It seeks reform of United States immigration laws to promote fairness, social and economic justice. The New Sanctuary Coalition of NYC (“the Coalition”) has grown from a half-dozen congregations to a City-wide Movement, working in coalition with NYC’s major immigrant organizations to reform immigration enforcement practices and policies, both locally and nationally, with a special focus on preserving family unity. Unlike other faith-based immigration reform advocacy groups, the Coalition operates at the congregational, grass-roots level, and focuses its efforts on reform of current detention and deportation practices, both nationally and in the NYC area. Early in 2010, the Coalition gained national attention for its successful efforts to prevent the immediate deportation of Haitian immigrant Jean Montrevil, the father of one of its “Sanctuary Families,” and a member of Judson Memorial Church. And over the past two years, the Coalition has sparked a major ongoing campaign in NYC – a campaign that is looked to as a model for the nation – in de-coupling local law enforcement from immigration enforcement. The new Movement was inspired by the 1980s “Sanctuary Movement.” That Movement had enlisted churches to transport, house, and hide refugees fleeing to the US from the civil wars in El Salvador and Guatemala. In 2007, religious leaders in Chicago and California, plus Juan Carlos Ruiz, then a Catholic priest working with a Mexican immigrant organization in NYC, envisioned a “New Sanctuary Movement,” to engage faith-based groups specifically in support of the 12 million immigrants living in the US without legal status to stay here. Instead of hiding them, however, the New Sanctuary Movement proposed to publicize their stories, to put a human face on the issues, raise public awareness of their plight, and encourage legislative reform.